The Yakima Valley Museum is a hub for community events and offers educational and enriching programming for the region. Image courtesy of the Yakima Valley Museum. The only cultural institution of its kind in Yakima, Washington, the Yakima Valley Museum provides visitors with an in-depth look at the region’s history and culture through exhibitions focused on the land, people, community, and technology that has kept the Yakima Valley connected to the nation and world. The NEH has provided support to the museum at critical junctures, offering it sustaining support and helping it become a cornerstone of Yakima Valley community life. An NEH challenge grant helped the Yakima Valley Museum build its elegant, modern building. Image courtesy of the Yakima Valley Museum. 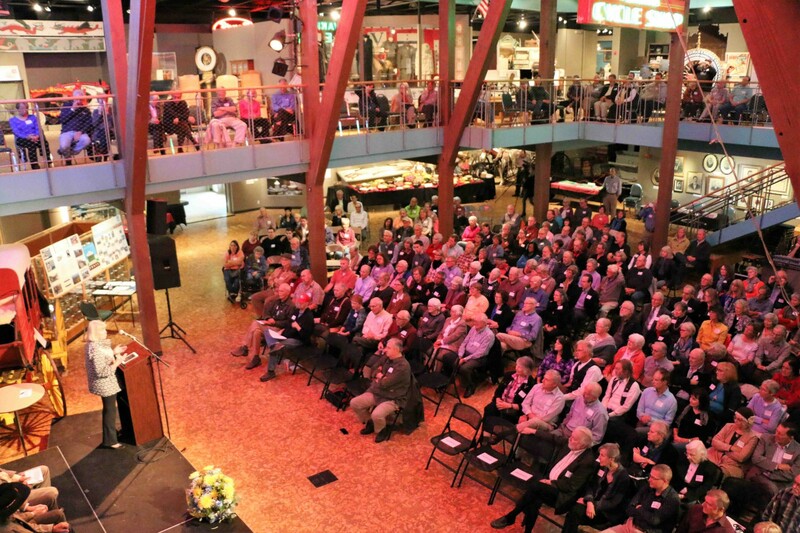 In addition to funding exhibition development, NEH challenge grants helped the museum raise an additional $3.9 million. An early challenge grant helped the museum build the elegant, modern building in which it is currently located, providing space for permanent exhibition galleries and public programming, meeting rooms that are used by community members, and improved storage for its historical collections. Endowments for exhibitions, humanities programming, and curatorial positions proved especially vital during the economic downturn of 2008 when donations declined and state and local budgets were cut. The museum was able to maintain its core staff and continue to offer its valuable services to the community. 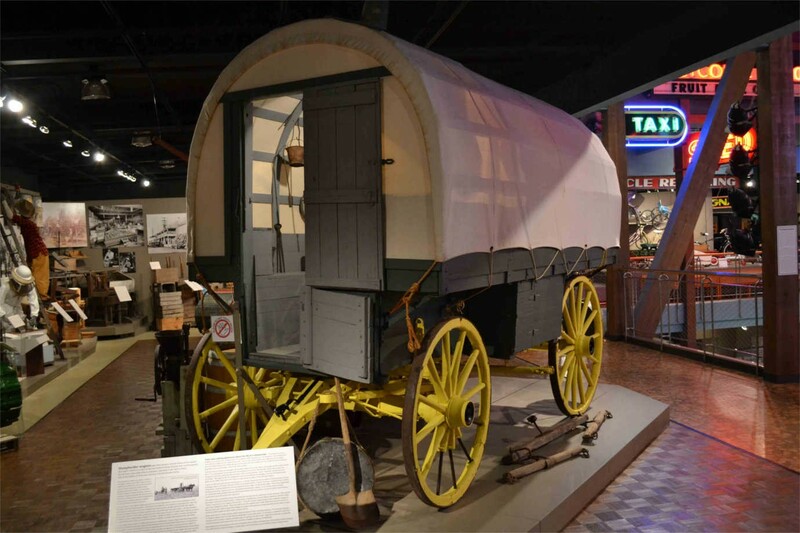 The Yakima Valley Museum provides visitors with an in-depth look at the region’s history and culture through exhibitions focused on the land, people, community, and technology that has kept the Yakima Valley connected to the nation and world. Image courtesy of the Yakima Valley Museum. Today, the museum’s permanent exhibition is frequented by tourists and school groups. Its educational and enriching programming serves people throughout the community and runs a wide gamut. Each year, the museum hosts an annual TEDx event and, in the spring of 2017, a lecture series on human migration in world history demonstrated a real thirst among the Yakima community to discuss how global issues are playing out at home. The lectures tripled the regular attendance for such events. Additionally, the museum hosts regular summer movie nights, serves lunch and dinner at its old-fashioned soda fountain, and maintains an interactive learn-and-play space for children.